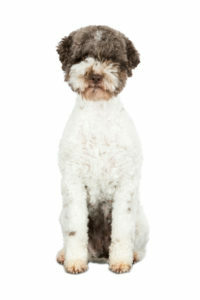 De naam “Lagotto Grooming” is niet langer dekkend voor het assortiment dat wij bieden. Daarom gaan wij verder als Brand New Dog. BrandNewDog is brand new. Een alternatief in werken met je hond. Wij bieden workshops, trainingen en materialen voor een andere manier van werken, met als doel een meer solide band tussen hond en baas, gebaseerd op wederzijds vertrouwen en respect. Kiezen voor BrandNewDog is kiezen voor een hernieuwde balans en energie tussen u en uw hond. En natuurlijk alle materialen om verantwoord aan de slag te gaan! BrandNewDog biedt alleen producten waar wij zelf op een prettige manier mee werken en in geloven. Of het nu om uw (toekomstige) pup of volwassen hond gaat. Wij bieden begeleiding op maat, met als uiteindelijke resultaat; een Brand New Dog! Voor producten en diensten omtrent de Lagotto Romagnolo, zoals vachtverzorgingsproducten en workshops, blijft u op deze site aan het juiste adres. The first head straight class on February 25, 2018 was very successful. In order to continue practicing together, we will continue this with another 10 workshops in both the Netherlands and Belgium. Every day has a morning and afternoon session. If you want to be sure that you can participate, make sure your entry is done in time. You can now register trough the webshop, your registration has been confirmed after the payment has been received by us. In the beginning of 2017 we became ambassadors for Fish4Dogs. A dog food that is fish based. The diet is hypo-allergenic, gluten-free and full of Omega 3, which promotes coat and skin health and improves the mobility of joints. For a longer period of time we have given this complete food to our dogs and did this with great satisfaction. This is one of the reasons we are very happy to welcome Fish4Dogs in our webshop. We offer a wide range of Fish4Dogs products, from cans of mackerel to delicious healthy snacks (which are also good for the teeth), from puppy and adult kibble to salmon mousse. Get acquainted with this healthy and responsible way of feeding and rewarding your dog! Because dogs just love fish. If you want more information about (one of) the Fish4Dogs products from our range, please contact us! Here we are, finally! 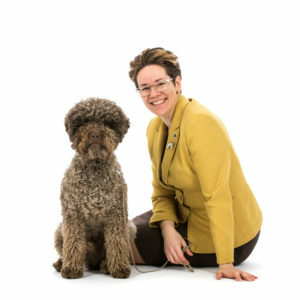 The launch of “Lagotto Grooming by Katrien van Gemert”: a website devoted entirely to the breed specific grooming of the Lagotto Romagnolo. What once started as an idea for our puppy buyers has grown into a website and the organisation of workshops at home and abroad. A few years ago I was asked to organize a workshop, aiming to learn the basics of self-maintenance of the Lagotto coat to pet owners. In combination with a busy job and the intensive coat care of our own dogs it took a bit longer to bring this project to a higher level. The grooming cards were created last year; an overview card that provides basic information about how a Lagotto is groomed. Originally meant for our puppy buyers, so they could take them as an instruction card to the grooming salon. In the meantime we offer an extensive webshop with grooming cards in 4 languages, grooming supplies, shampoo, nutrition and fitness materials. All materials and food that you find here, we use ourselves. In the upcoming months this website will be expanded further and further. Al ruim tien jaar delen wij ons leven met de Lagotto Romagnolo. In deze jaren hebben we constant geïnvesteerd in kennis en vaardigheden. Deze kennis en vaardigheden willen we graag met jullie delen. In de hoop dat jullie, net als wij, met plezier het beste uit de verzorging van je hond(en) kunt halen.